Kouji Hara (right), owner of Daiduk Kayaks, is a famed adventurer and environmental activist living in Shunan, Japan. He has kayaked in the Arctic Ocean for 9 days and bicycled across the USA. 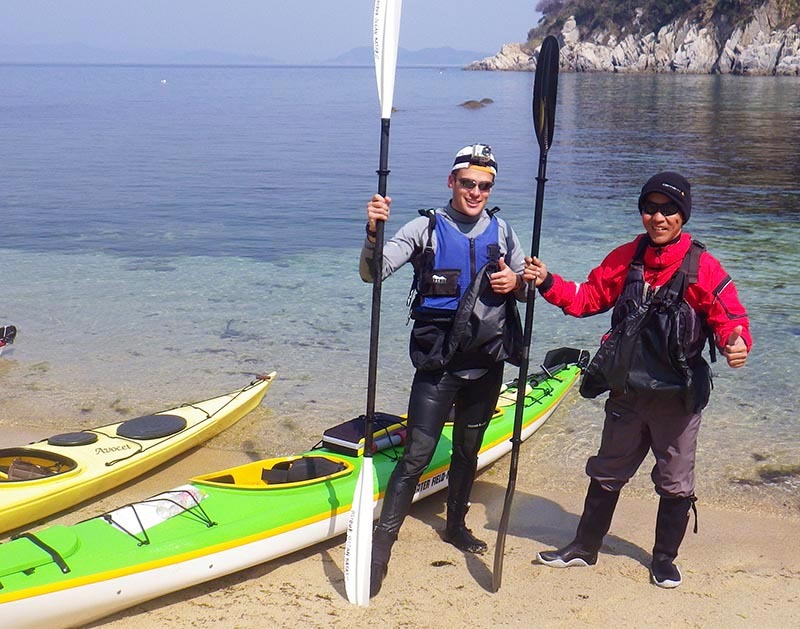 He now operates the Kayak adventure school he founded and teaches students in the greater Yamaguchi area about Kayaking and environmental stewardship. Mike Reid (Left) is an adventurer and English teacher living in Shunan. He organized, with the help of many community members, a beach cleaning and art group in Japan called Life Recycled. He is an avid traveler and recently traveled to Cambodia to teach English at a community school. While in America, he climbed to the Summit of Mt. Rainier, in Seattle, Washington.